The international Shipbuilding Machinery & Marine Technology (SMM) is a biannual event which is being held in Hamburg from the 4th September up until the 7th September. Companies from across the globe attend the event and come together to present new products and services in the industry. The Veethree team are excited to be exhibiting at SMM. 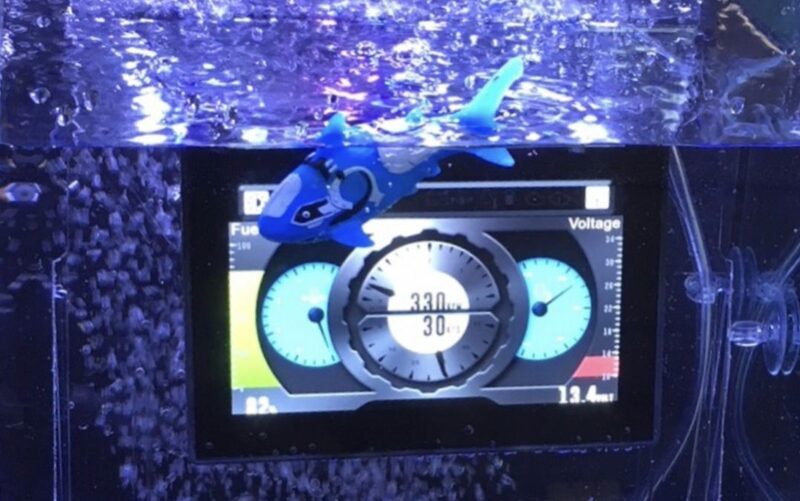 If you are attending, get in touch to meet so we can demonstrate our new product releases, as shown below with our latest IP67 display submerged in a tank complete with a shark! Come and see us on stand B1.OG.508 for a demonstration. We are pleased to announce the details of our new Dual Engine Monitor, the latest addition to our range of Engine Monitors. This adds Dual Engine functionality available for the CAN 700 only. 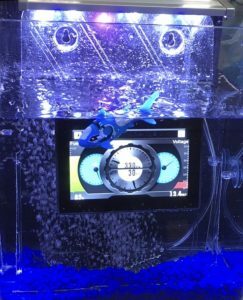 There are many benefits for using our Dual Engine Monitor, such as improved user experience and reducing instrument clutter. CANtronik Limited is a privately-owned company formed in 2007 operating from Poole, Dorset and now part of the Veethree group of companies in USA and India.